Intern in China and change your future. Go Abroad China is a 15-year-old organization devoted to fostering international understanding through Learn Chinese in china, and internship in China programs. 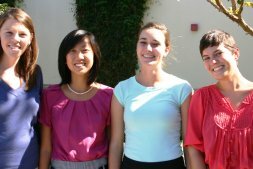 Our company is one of the biggest Global Internship Placements and Chinese language teaching providers. Go Abroad China was founded on the precepts that the best way to learn Chinese and experience Chinese culture is through immersion in a Chinese environment which separates spoken Chinese and Character recognition, has been proven to expedite Mandarin Chinese language learning. If you want to progressing your spoken Chinese quicker and understand the logic of Chinese characters’ construction, that coming to China should be fun and exciting, not difficult! Go Abroad China is also known for our paid internship in China for international students with some of the Fortune 500 companies, you Choose from the most exciting and important 14 industry sectors operating in China with Go Abroad China, develop professional skills in your preferred industry. All of our programs offer the unique opportunity to develop professional skills in your preferred industry. Whilst also gaining exposure to China’s dynamic culture and lifestyle. Established in 2003, and the only program organizer to provide not only the internship program but also the study Chinese program and study tour program in China. A range of quality accommodation options- homestay, private apartment and shared apartment. Qualified and experienced teachers, all the degree qualified, bilingual, comprehensively trained and have lots of Chinese teaching hours experience. Great students' life, various fun cultural activities, making friends from around the world. A wide range of programs for all levels, small group Chinese classes, private tutoring, study at China top universities such as BlCU, Peking University, Tsinghua University, Internship programs etc. Professional service staff to help you to settle in China. Credits, transcript and certificates, which are recognized and acceptable by all universities in the world. 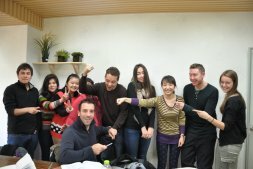 Personalized follow up during your internship or study in China. 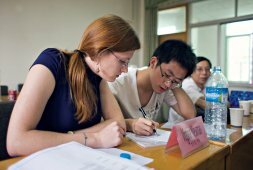 A wide range of effective and practical Chinese courses for all levels. Academic partnerships all around the globe. Get global experience and immerse yourself in the vibrant sights and sounds of China with GoabroadChina.